Brad Friedel couldn’t build any late-season momentum with his team. The Revolution have been in virtual free fall for three months. They have been able to cling to playoff hopes, despite winning just once in the last 14 games. But their postseason chances could officially end even before their next match, which is against Orlando City at 7:30 p.m. Saturday. A D.C. United victory over Dallas in a game scheduled to start at 4:55 p.m. Saturday would officially knock out the Revolution. This has been a difficult season for the Revolution (8-12-11), who expected to improve after missing out on the playoffs the last two years. A strong start to the season proved to be deceptive, though, and they have slumped to a 1-8-5 mark since June 30. The Revolution found themselves in a similar position last season. They rallied to a 3-1-1 finish under former assistant coach Tom Soehn, who replaced Jay Heaps for the final five games, too late to challenge for a postseason berth. When Soehn took over, the team’s cause was virtually hopeless, yet the Revolution remained spirited to the end. Their situation has not improved, but coach Brad Friedel, an inspiring player during his European club and US national team career, has been able to keep the team motivated. Even should D.C. United fail to win Saturday, the Revolution will not have a realistic chance of making the playoffs. They essentially will be playing a meaningless game against Orlando City, which is also out of contention, then concluding the season as a possible spoiler against Real Salt Lake and Montreal. How fans react could be significant. Despite the Revolution’s status as non-contenders last year, the biggest crowds of the season (33,767 and 21,925) arrived for the final two games. 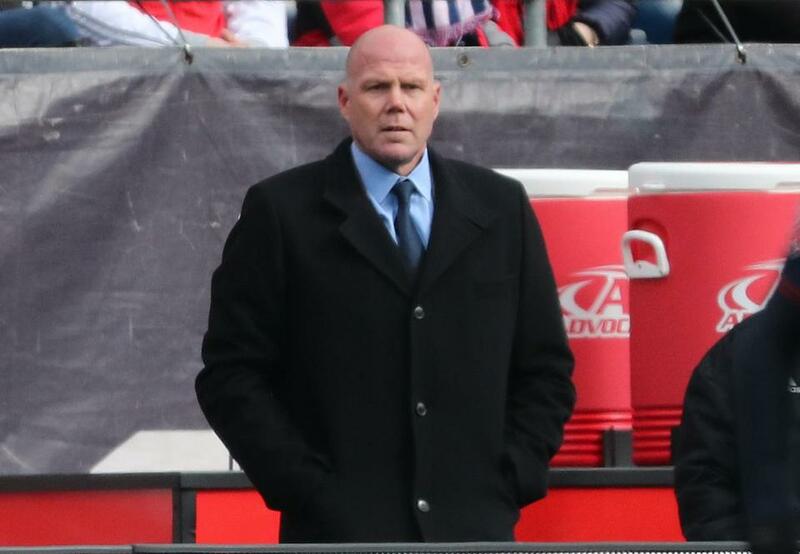 Among Friedel’s goals was to improve the Revolution’s resolve in away games. They have again struggled on the road, but their 2-8-6 record (12 points) record is the best since 2015. Last season, the Revolution earned only 6 points on the road, and missed the playoffs by 6 points. By doubling their road point total (with two away games remaining), they might have been expected to qualify for the postseason this year. But the Revolution have fallen into a dismal home slump, going 0-2-3 at Gillette Stadium since June 30. The combination of a high-pressing style and the difficulty of playing on artificial turf have given them a strong edge at home in recent years. Now, though, visiting teams do not seem to panic against their pressure, and they are content to retaliate with counterattacks. The Seattle Sounders showed the way by playing the Revolution to a 0-0 tie on July 7. Other opponents have essentially played for a draw, but the Revolution have failed to take control of the game, tending to self-destruct defensively. Friedel apparently has been preparing for next season by attempting to solidify the back line in recent weeks. Had management planned better, the Revolution could have remained competitive this year and also built a foundation for the future. The US Soccer Federation waited nearly a year to begin interviewing candidates for the national team coaching position, which opened after Bruce Arena’s resignation last October. But administrators have been working behind the scenes, and general manager Earnie Stewart appears close to making a determination. Some strong foreign candidates have been considered (Atlanta United’s Tata Martino is not the only one), but Stewart is likely set to name a domestic coach such as Gregg Berhalter, Tab Ramos, or Peter Vermes. Berhalter, 45, probably has the most varied international experience among US coaches, having coached or played in four European countries. There is also a local connection; Red Sox great Carl Yastrzemski is his godfather and second cousin. Meanwhile, Dave Sarachan will guide the US as interim coach against Colombia in Tampa Friday and against Peru at Rentschler Field in East Hartford, Conn., next Tuesday. And Martino remains a top candidate in Mexico, where the national team’s counterpart to Stewart is Guillermo Cantu (ex-Lawrence Academy).